Lighter vehicles means less fuel. Less fuel means lower carbon emissions. Local treatment means fewer miles. Fewer miles means less fuel. Less fuel means lower carbon emissions. Just 2 types of waste bags collected translate into maximum recycling rates. We do not use compacting trucks which means that we do not crush glass and packaging hence maximizing the recovery rates. We produce high quality organic fertilizer that will be used to bring more food. Our production cycle is the shortest which means that food waste will be back on the farming fields in less than two months. Our carbon footprint is the lowest among our peers. Traditional big scale project increase the environmental impact of waste by concentrating big amounts of waste at a single location. 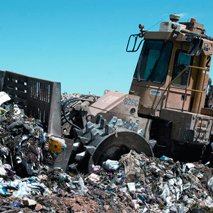 The development of traditional big scale waste management projects involve consultants, surveyors, solicitors, process engineers, lawyers, administrators and bankers all of whom add on the cost of waste management before any waste treatment has even started. Human food waste is made a combination of food wastes that are rich in nutrients and contain all the fundamental nutritional blocks including Nitrogen, Sodium, Phosphorus, Potassium, Calcium, etc.